I don’t really watch much on Hulu, truth be told. My girlfriend subscribes to the service though, and will periodically let me know about an original program that she thinks I will enjoy. Knowing that I’m a fan of Stephen King, she mentioned that this show was upcoming and finding out J.J. Abrams was also involved piqued my interest. I also thought that Bill Skarsgård was terrific as Pennywise in the recent IT film adaptation, so I knew I had to watch this. I went in pretty much blind, not reading any plot details or spoilers beforehand. 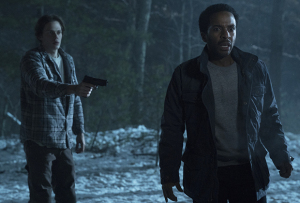 The following are my thoughts on Season 1 of Castle Rock. Be warned, if you haven’t finished the show, this post will contain spoilers. The show starts off pretty slow. On July 25th when the show premiered, Hulu released the first three episodes, so I had a mini-binge. Those first three episodes were intriguing, but nothing much is happening. 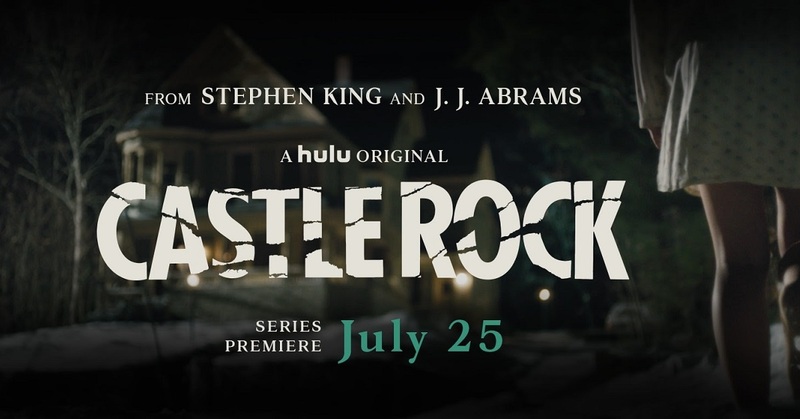 We’re introduced to the main character, an African-American man named Henry Deaver, who is a lawyer called back to Castle Rock (which is the title of the show and also the name of the town) to represent a client. Henry had a troubled youth, being adopted by a white family — a stay at home mother and a preacher — and having some issues as a child. He remembers hearing a loud ringing noise that others couldn’t. It is revealed that his father believes this is the voice of God, and they make trips in the dead of night to a particular spot in the woods where they believe they will hear it again. This seems to have an effect on the mother to the point where in the present day she is disturbed, yet everyone believes it is just dementia. The client Henry is here to represent is a character called “The Kid” (played by Skarsgård) who has been locked in a portion of the town’s prison that has been unused for decades. The old warden has kept him locked up down there for as long, but after committing suicide, a new warden comes to town, and orders some of her guards to clean up the unused wing so they can bring in more inmmates. The Kid is discovered, but doesn’t talk. As soon as he is let out, bad things start to happen around the town. People die. Henry gets the kid out of jail and helps him to get his life in gear, which includes staying at various people’s houses (including his own). Bad things continue to happen but there is no real explanation of the how’s or the why’s. The show continues like this for weeks. I was actually beginning to lose interest about halfway through the season but by episode 9 things start to make a bit more sense. One episode we are shown The Kid in the same town, surrounded by the same characters, but he is Henry Deaver, which throws things on its head a bit. The possibility of multiple dimensions (something King was able to really explore in his Dark Tower series) starts to creep into the plot, as the The Kid/Henry goes about his life, then ends up in the same woods during the time frame when old Henry and his dad had their final altercation that ultimately lead to his father’s demise. The Kid/Henry is picked up by the warden, who hears the “voice of God” that tells him that The Kid/Henry is “the Devil” and should be locked away. He kept him there while old Henry grew up and we’ve now come full circle. I’m leaving out some small details but in the end, The Kid wants Henry to go out in the woods with him so that this dimensional rift can be opened again and he can go back to his own world. 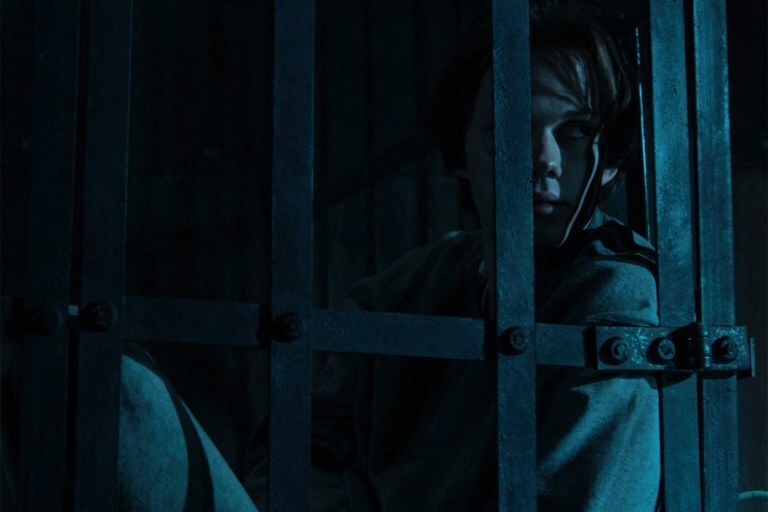 Their altercation ends up in Henry’s favor, and near the end of the season we are shown The Kid back in his cell under the prison (which appears to be shut down completely, allowing him to sneak in and out easily) and Henry is now taking the place of the Warden, as the guardian of this “Devil.” Generally speaking, there are many ways that you can read into what happened during the season, and then there’s probably a way it was meant to be understood as written by the producers. In my opinion, there are two ways of understanding this story. On one hand, you have this inter-dimensional rift that was somehow opened and sucked two different people into two different alternate realities. The simple act of being in that different world was seemingly understood by it, and as a result bad things happen where ever those two people go. On the other hand, you can believe that The Kid really is a Devil and he belongs in a cage. Some clues that point towards this different reading are the fact that The Kid’s face changes briefly during the final altercation, and he appears either very old or very zombie-like. Also there seems to be ways that he was able to influence people and things, and in some cases it really did seem like he pushed people to kill themselves or do terrible things. I’m on the fence. I like the inter-dimensional plot twist over the religious connotation but that’s due to my own personal beliefs. Either way it was enjoyable in a cerebral way, and that’s how I typically enjoy my plot twists. What did you think of the show?